The Days of Johann, an agility dog! 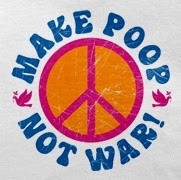 : Today is BlogBlast for Peace! Join in! 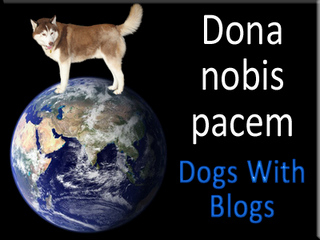 Today is BlogBlast for Peace! Join in! Peace, love and we dig it! Today is Blog Blast For Peace - a day when blogs from all over the globe unite for peace by displaying their own personalized Peace Globes. If you haven't gotten a Peace Globe to decorate yet, click here. To learn more about Blog Blast for Peace, read here! In our house Gracie is the peace lover. 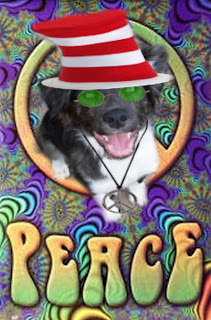 Don't get me wrong, Wolfie, Wiggy, Mum and I love peace too, but not the way Gracie does. She's the peace keeper in the family. She goes around the house making sure everyone is happy. And if they aren't she makes sure to get them that way! Thanks Gracie for keeping the peace, we luvs ya for it! And thanks Charlie for my globe!